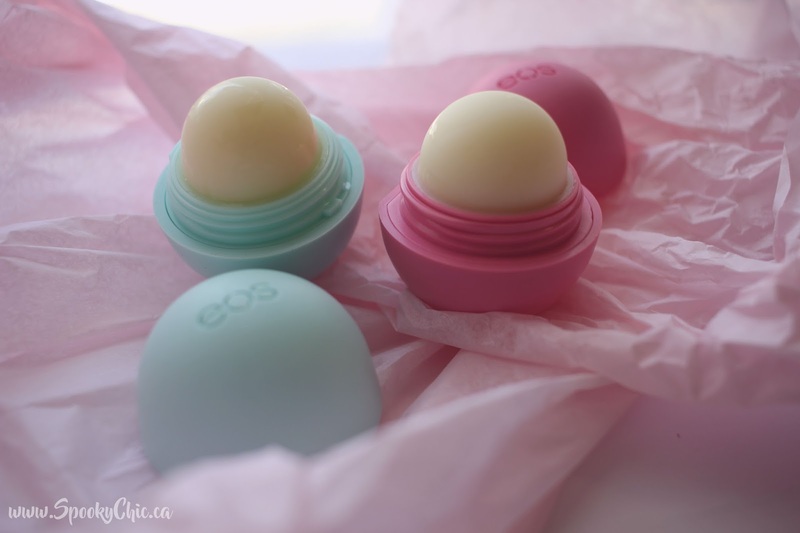 Since we're diving into the colder weather now I thought I'd share these eos Organic Smooth Lip Balms with you because I was given them for free through Chick Advisor and I thought I'd take it even further and write a review of them here because I liked them so much! Since I live in Calgary, Alberta and it's usually pretty chilly around this time of year I always have a lip balm on hand in case my lips feel dry because there's nothing worse than chapped lips for me. 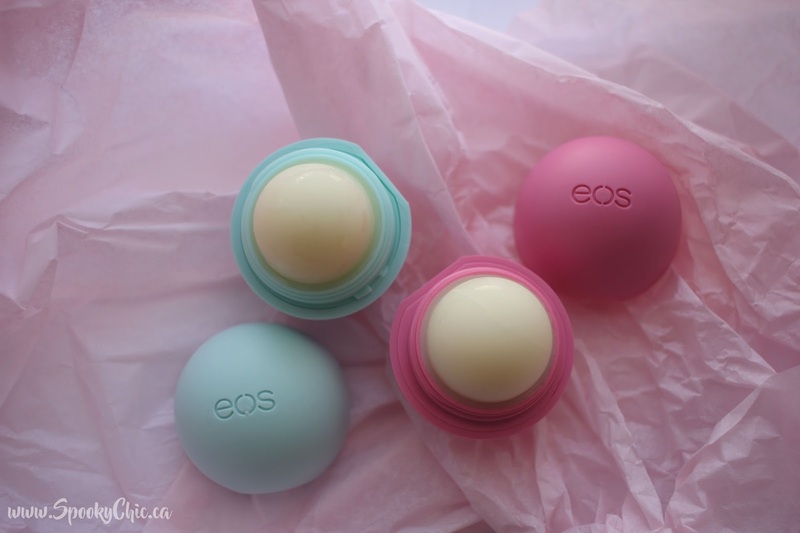 I usually do carry around an eos lip balm or my other newly found favourite Blistex Nuture & Nurish but now I might have a new favourite because these flavours and formulas are so great. 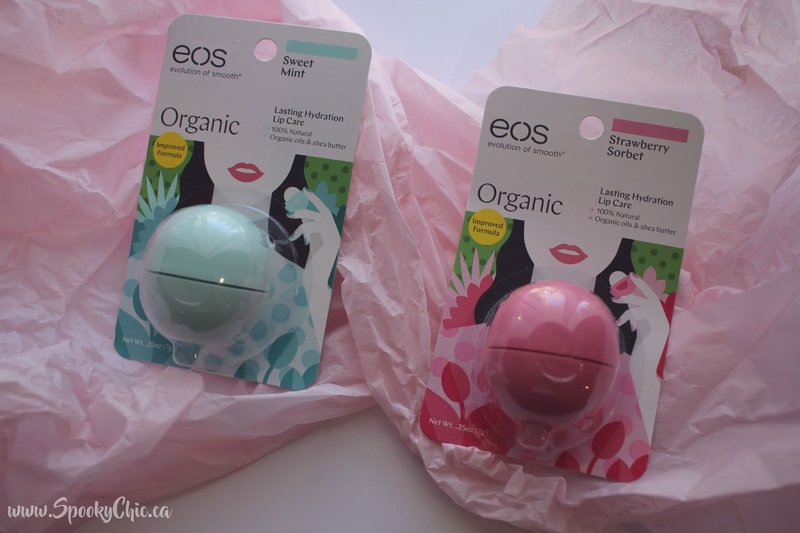 So I was sent the eos Organic Smooth Lip Balms in the flavours Strawberry Sorbet and Sweet Mint which are actually so delicious you just want to keep layering it on. 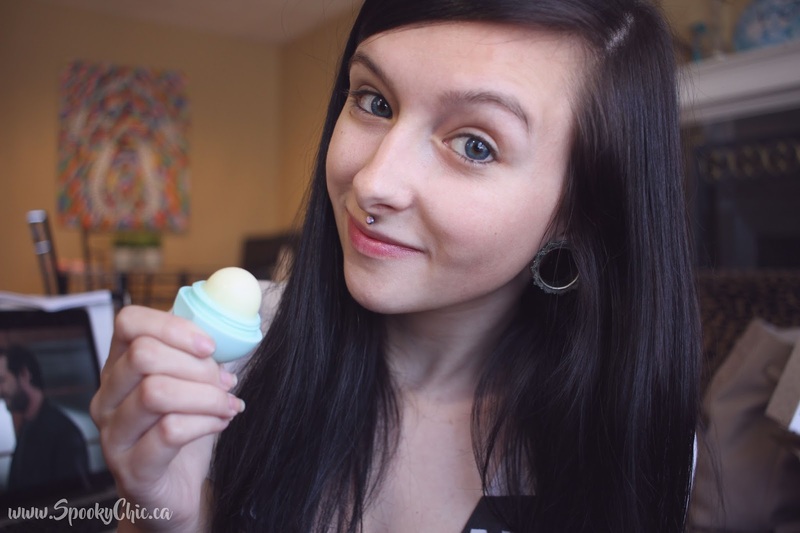 My favourite of the two though is definitely Sweet Mint because it just feels refreshing but not too tingly like I find some mint lip balms are, especially if you have dry lips. The Strawberry Sorbet is also great too though because it isn't an overly powerful strawberry flavour that some brands seem to have. 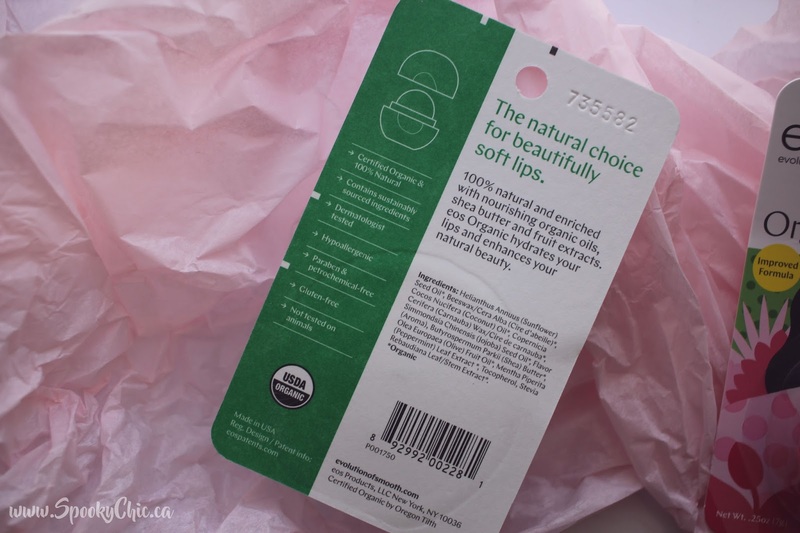 I couldn't be happier that the lip balms are 100% natural and organic, for some reason this makes me feel better about using them and knowing that they're a better alternative for my body and what I'm consuming when using a lip balm. They're also paraben and petrochemical-free as well as not tested on animals! They are 0.25 oz of product and retail for $4.11 CAD! I definitely want to pick more up, especially in the flavour Honeysuckle Honeydew because I am a Honeydew fanatic! What flavour do you want to try? Let me know in the comments below!